Roseville Taxi Service to MSP Airport,DT Minneapolis,Casino and More. We have served Roseville Minnesota longer than any other taxi service. Late Model cars minivans,lincoln towncars,ask about child seat. Roseville Taxi is concerned about customer satisfaction. We provide the most reliable, Airport cab service available. 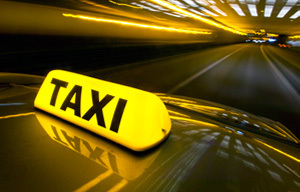 At Roseville Taxi Cab, we offer speedy and reliable dispatch service to and from MSP. We are a local company focusing on excellent local service. We feature state-of-the-art Andoid and IOS dispatch. This means faster service that is more reliable. We believe that a taxi service should be your safe alternative to driving, which is why our courteous drivers are all licensed and our cars are well maintained. Our drivers are experts on the area and know all the fastest routes and hottest spots. All your airport destination, we will make sure you arrive on schedule and relaxed. As only Provide Airport Taxi Service!! . Roseville Airport taxi service to and from msp . Traveling is stressful enough without the added worry of airport transfers in the MSP area, and learning your way around a new city. With AIRPORT TAXI SERVICE from us, we take the stress out of your executive travel with a MSP AIRPORT TRANSFER via sedan, both to and from your hotel or home in minnesota.